Apple ha rilasciato la prima beta di iOS 8.4: la nuovissima versione del sistema operativo include una nuova applicazione Musica, il cui restyle potrebbe anticipare il nuovo servizio di streaming musicale (di cui però non c’è ancora traccia). Tra le novità più significative, invece, troviamo adesso un nuovo mini-player che ci segue nella navigazione e una gestione semplificata dei prossimi brani da riprodurre, con Up next. Di seguito trovate il changelog completo (in inglese), nonché un po’ di screenshot e un video hands-on. 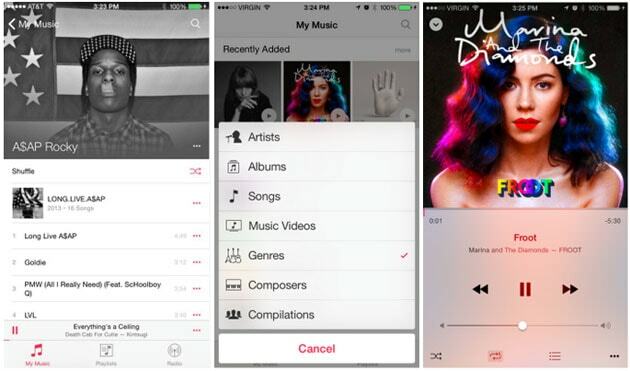 The iOS 8.4 Beta includes an early preview of the the all-new Music app. With powerful features and an elegant new look, enjoying your music is easier than ever. This preview provides a sneak peek into what we’ve been working on, and what’s to come — the music is just getting started. All-New Design. Music app has a beautiful new design that makes exploring your music collection easier and more fun. Personalize playlists by adding your own image and description. Enjoy stunning pictures of your favorite artists in the Artists view. Start playing an album right from the album list. The music you love is never more than a tap away. Recently Added. Albums and playlists you’ve recently added are now at the top of your library, making it effortless to find something new to play. Simply tap play on the artwork to listen. Streamlined iTunes Radio. Discovering music with iTunes Radio is easier than ever. You can now quickly return to your favorite stations in Recently Played. Choose from a selection of hand-curated stations in Featured Stations, or start a new one from your favorite artist or song. New MiniPlayer. With the new MiniPlayer, you can see what’s playing and control playback while browsing your music collection. To open Now Playing, just tap on the MiniPlayer. Up Next. It’s now simple to find out which songs from your library will play next — just tap the Up Next icon in Now Playing. 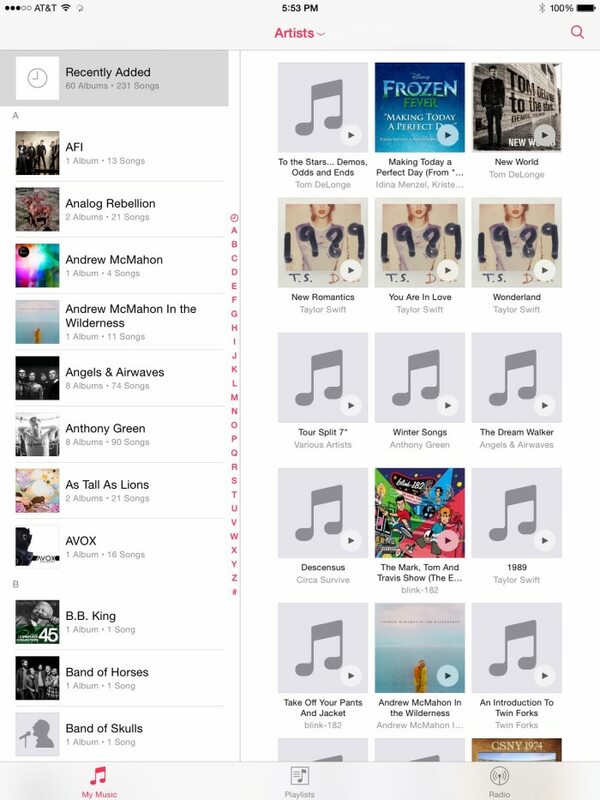 You can even reorder, add, or skip songs whenever you like. Global Search. You can now search from anywhere in the Music app — just tap the magnifying glass. Search results are conveniently organized to help you quickly find that perfect song. You can even start an iTunes Radio station right from Search.